We have quickly become a catering favorite for many all over San Diego County. Over careful preparation and our family touch are what make us stand out from the rest. Whether it is a small family catering or a large corporate event, we care about your party! 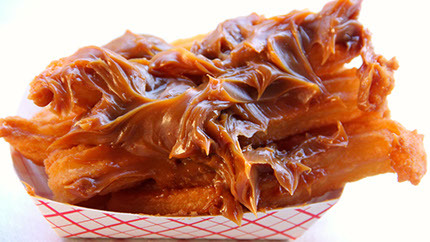 Our delicious and freshly made Churros are sure to make your special occasion memorable. We offer onsite catering in our lovely banquets mobile equipment, or can cater your party offsite as well. Whatever your event, we can handle it for you!! and talk to Louie and we will take care of the rest!